Award winning actor Powers Boothe who played Noah Daniels in 24‘s sixth season and 24: Redemption has passed away at the age of 68. He leaves behind a wife of nearly 50 years, and two children. Powers died in his sleep this morning of natural causes. There will be a private service held in Texas where he was from. A memorial celebration in his honor is being considered for a future date. Donations can be made to the Gary Sinise Foundation, which honors the nation’s defenders, veterans, first responders, their families and those in need. RIP Powers Boothe. 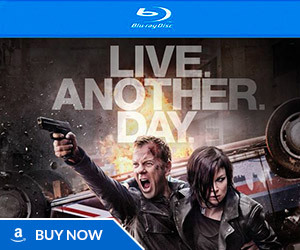 He was a fantastic actor and was great on 24. One of the mightiest jaws in the world. RIP sir, you’re one of the few good things about season 6. He was a great actor with his own persona and look. Loved him in Tombstone and Sin City. And learned to like him as VP and POTUS in Season 6 and Redemption. Sad news indeed. He was a bright spot in an otherwise mediocre sixth season. Admittedly, I haven’t seen him in much else. He was one of the best characters in the 6th season. 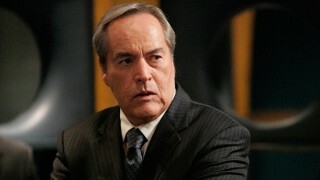 I have always been fascinated with the name “Powers Boothe”. RIP Powers Boothe. Age of 68 is really young to die of natural causes. 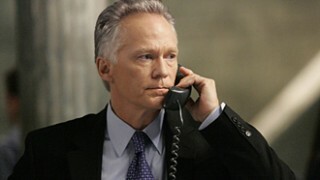 I think Noah Daniels was the only president that Jack Bauer didn’t meet or talk to on-screen. But I could be mistaken. On 2nd thought, John Keeler may fall in this camp as well. I am sure someone who is fascinated by this show or has a better memory than me knows. As an employee of the SoD, it is likely that Jack met Keeler at some point, though it didn’t happen on-screen. Rest in peace, and may peace come to his family. Powers Boothe and Peter MacNicol really saved Season 6 for me. I LOVED their scenes together and felt that Powers Boothe made for an intimidating character. He was the only other physically imposing president on this show other than David Palmer. Regardless of how you feel about Season 6, I could watch Boothe and MacNicol’s scenes all day. Those two were great together. One of my favorite little moments with Boothe’s character in Season 6 is where Wayne Palmer collapses at the podium and Noah Daniels casually slips his resignation papers back into his suit coat without a single change of expression on his face. I always remember the part where he yells at Tom Lennox for interrupting him: “And I’m still TALKING!” Just WATCHING him on screen makes you feel small and intimidated. 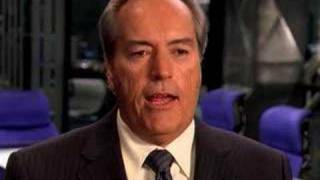 Along with Sam Elliott and Lance Henriksen, Powers Boothe had one of the coolest and most distinctive voices for an actor. He was usually always playing a bad guy/villain, but every time he did it was very memorable. Such a bummer I read this on yahoo very sad. 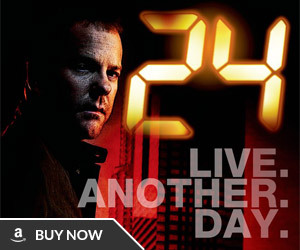 Great character on 24, great actor. 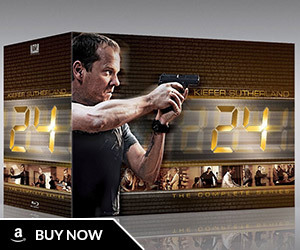 Thank you Powers for what you brought to the universe of 24. Godspeed, may you rest in His loving arms.